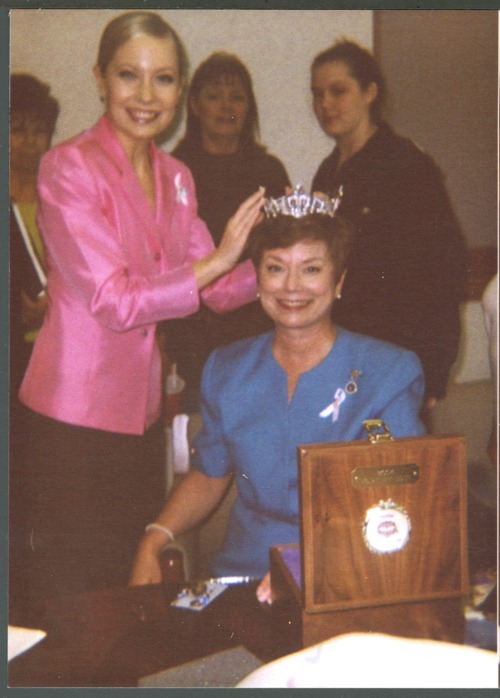 This is a photograph of Cindy Rogers trying on Katie Harman's Miss America crown. Harman was in Topeka for a breast cancer survivors' event at St. Francis Hospital. She is the National Spokesperson for the Touched by Cancer Foundation, offering support for cancer patients and their families, and served on the National Board of Directors for the Breast Cancer Network of Strength.